he new report, Industrial Algae Measurements 8.0, was released by the ABO Technical Standards Committee at the 11th Algae Biomass Summit (ABS) in Salt Lake City this month. The IAM 8.0 collaboration represents contributions of over 30 universities, private companies, and national laboratories over the past seven years. Hundreds of hours have been invested in IAM 8.0, which is available for free download at the ABO site. The prior report, IAM 7.0 is also still available. IAM 8.0 describes the current state of the art metrics, policy and regulatory environments relevant to the development and growth of a successful algae industry. The descriptive parameters provide algae and related industries and academic groups with a common language and critical parameters for the evaluation of technologies currently being commercialized. The methodologies, metrics, and descriptions encompass the full spectrum of algae production. These include autotrophic, heterotrophic, open pond, photobioreactor, and open water production, as well as harvest and conversion processes for microalgae, macroalgae, and cyanobacteria. The input/output measurements allow for economic projections, through techno-economic analyses, and sustainability calculations through life cycle assessments, (LCA). Inputs include the carbon, water, energy, and nutrients required by the algae, as well as land requirements, process consumables, and human resources required by the infrastructure. Green Box outputs include the different classes of algae products as well as industrial waste emissions including gas, liquid, and solid discharges. Together, the measured inputs and outputs generically carve out the total economic and environmental footprint of algae operations. Identifying this total footprint will become increasingly central in the funding, regulatory, and sustainability review of an expanding algae industry. These issues define the commercial viability of specific ventures. Chapter 1. 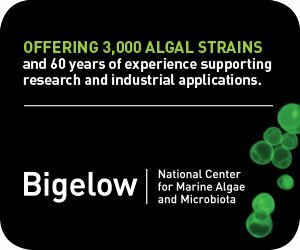 State-of-the-art-algae product and operations measurements discusses methodologies for assessing productivity at the cellular level, along with the detailed product composition. 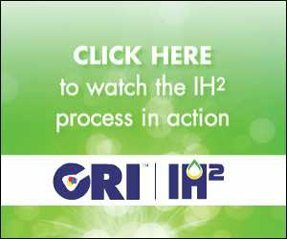 The descriptions include available standard procedures for feedstock and product characterization available through standards agencies such as ASTM, AOAC, and AOCS. Chapter 2. Life cycle and techno-economic analysis for the uniform definition of algal operations provides an overview of lifecycle analyses specifically applicable to the algae industry and increasingly important in the funding and government support of programs. Chapter 3. 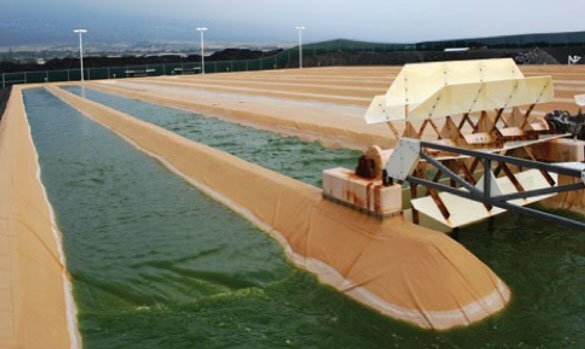 Regulations and policy on algae production operations reviews and summarizes regulatory and permitting processes applicable to algae farming, and provides a framework overview of the siting approval process. Chapter 4. 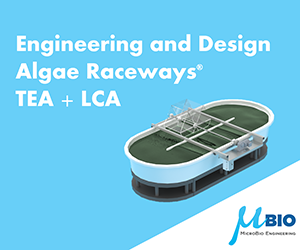 Use of wastewater in algae cultivation discusses the considerations of using wastewater as a nutrient and water source for an algae farm and considers the regulations and permitting involved in commercialization. Algae growth on wastewater is discussed in the context of the presence of pollutants and in different production systems, and ultimately evaluation metrics for wastewater treatment and recycling. Chapter 5. Regulatory and process considerations for marketing algae-based food, feed, and supplements outlines regulatory process steps in obtaining approval from the respective overseeing agencies for the inclusion of algae as novel dietary ingredients or food/feed additives. Chapter 6. 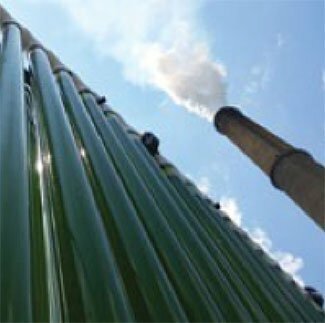 Regulatory considerations and standards for algae biofuels describes the process required to produce a legally marketable biofuel from algae, with links to comply with the new developments on the Renewable Fuel Standard that is administered by the EPA. Chapter 7. Open and closed algae cultivation systems, including heterotrophic fermentation of algae, describes measurement parameters and reporting metrics that are particularly important in comparing algal growth systems. The algae industry faces numerous challenges. Algae operations vary in size from small microfarms, individual bioreactor arrays producing specialty chemicals and nutraceuticals, to expansive farm-scale production of food products and biofuels. Accurate assessment of their future economic and environmental footprint will be critical to financing development and performing environmental LCA. IAM 8 is designed to meet the evolving needs of the algae industry and its stakeholders. The ABO Technical Standards Committee invites stakeholder comments. The Committee is actively recruiting contributors to IAM 9, tentatively schedule to publication in 2019. 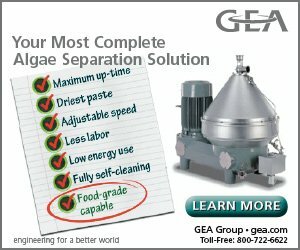 Please get in touch via TechStandards@algaebiomass.org. At the ABO meeting, a new Product Quality Initiative was launched. This new Product Quality Initiative’s goal will benefit society and algae industry members by expanding consumer adoption of algae-based products. Algae industry companies strive to produce high quality products produced in compliance with all relevant regulations and standards. We all know that negative consumer experiences will damage everyone and creating a set of safety standards around products that are currently and likely in the future produced by ABO’s producing members will benefit all. The ABO Product Quality Initiative begins the discussion about what we as an industry can do to help our members maintain consumer trust and support. The Product Quality Initiative begins the path to voluntary adoption of product safety standards. Lieve M. L. Laurens, Committee chair, Senior Research Scientist, National Renewable Energy Laboratory, Golden, CO, USA. Keith E. Cooksey, Deputy committee chair, Environmental Biotechnology consultant, Professor emeritus, Montana State University, Bozeman, MT. Jim Sears, Co-founder Visual Exploration LLC, former ABO committee chair. Mark Edwards, Emeritus Professor, Arizona State University, Co-CEO, EcoSync. Tryg Lundquist, Associate professor, California Polytechnic State University, San Luis Obispo, CA. Craig Behnke, Vice president at Sapphire Energy, San Diego, CA. Casey Lippmeier, Principal Scientist, DSM Nutritional Products, Columbia, MD. Steve Howell, President and founder of MARC-IV, Chairman of the ASTM task force on biodiesel standards, Kearney, MO. Robert Gardner, Assistant professor, Department of Bioproducts and Biosystems Engineering, University of Minnesota, Morris, MN. Jose Olivares, Division leader Biosciences Division, Los Alamos National Laboratory, Los Alamos, NM. Robert McCormick, Principal engineer, Fuels Performance, National Renewable Energy Laboratory, Golden, CO.
Amha Belay, Earthrise Nutritionals, Calipatria, CA. Chad Miller, Clearas Water Recovery, Missoula, MT. Please consider joining the ABO Technical Standards Committee or the Product Quality Initiative and make your contribution to our algae industry.